Have a MacBook Pro? 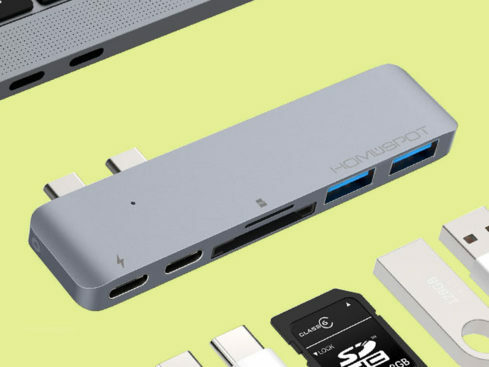 Check out these insane deals on HomeSpot USB-C hubs! As much as we love our MacBook Pros, they're missing a lot. Want to plug in a regular USB cable or flash drive? Nope, can't do it without an adapter. How about reading SD or micro-SD cards? Not going to happen without another adapter. We've got the solution for you! 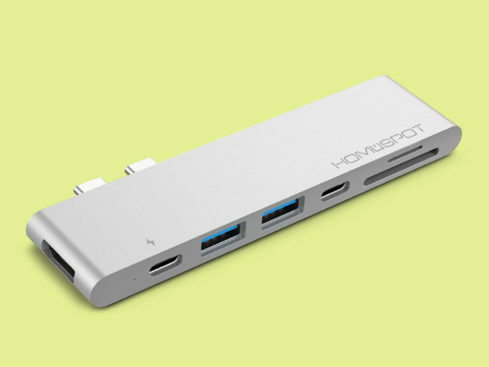 These HomeSpot USB-C Hubs for MacBook Pro add all of the missing ports to your laptop, and you can get one for as low as $54.99. Add coupon code BFRIDAY20 when checking out, and you take another 20% off of that price, bringing the total to only $43.99! We have two models of the USB-C hubs. The first ($54.99, $43.99 with coupon code, see image above) provides Dual USB-C in Thunderbolt 3, 40 Gbps throughput, power delivery, 5K video out, 2 USB-C ports, 3 USB-A 3.0 ports, an SD card reader, and a micro-SD card reader. It works with 2016 or newer MacBook Pros, either 13-inch or 15-inch in size. The second ($69.99, $51.19 with coupon code, see image above) adds one more port to the mix with an HDMI port. Either of the USB-C hubs adds flexibility to the MacBook Pro that you can't get with a collection of Apple dongles, and if you add up all the dongles you'd need to match these hubs in terms of functionality, the price would be prohibitive as well.